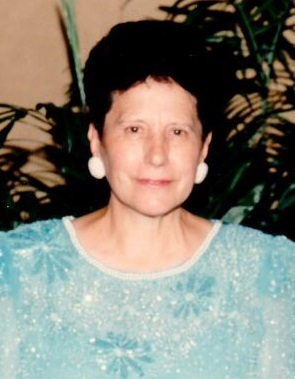 Obituary for Josephine R. (Sabbio) Domino | Laughlin Memorial Chapel, Inc.
Age 96, of Dormont, on Sunday January 20, 2019. Wife of the late James A. Domino; loving mother of James M. Domino and his wife Kristine; aunt of Angeline Liberto and Ronald Sabbio; preceded in death by brothers and sisters. Josephine loved to socialize and converse with family, friends and neighbors and was proud of being the first woman movie theater manager in Oakland and East Liberty in the 40's and 50's. Friends will be received at Laughlin Cremation & Funeral Tributes 222 Washington Road Mt. Lebanon on Tuesday and Wednesday 2-4 & 6-8 PM. Mass of Christian Burial will be offered in St. Bernard Church on Thursday at 11:30 AM. If desired, memorial contributions may be made to Catholic Charities 212 9th Street Pittsburgh, PA 15222.